Preheat oven to 350 F. Pierce potatoes and place on baking pan. Bake for 1 hour and 15 minutes, until very soft. If you don’t want to bake them just boil them in water for 20 minutes. Peel and mash potatoes in large bowl with potato masher or back of fork. Add cream cheese, half of the butter, Greek yoghurt and 1/2 cup of shredded cheese. Stir well. Add garlic, salt and pepper, and stir again. Add half of the green onion and cooked bacon. Spray a baking dish with nonstick cooking spray, bake for 30 to 35 minutes until hot. Sprinkle remaining green onions, crumbled bacon and 1/2 cup of shredded cheese over casserole and return to oven for about 5 minutes, until cheese melts. 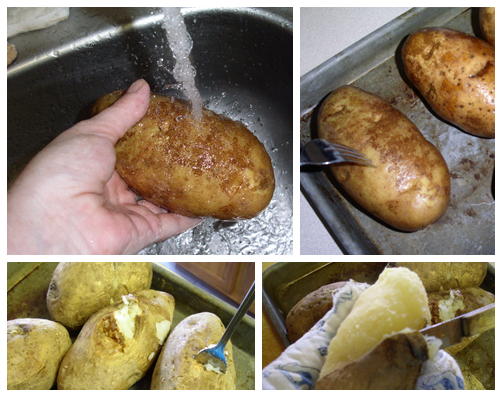 Preheat oven to 350 F. Pierce potatoes and place on baking pan. Bake for 1 hour and 15 minutes, until very soft. If you don't want to bake them just boil them in water for 20 minutes. Peel and mash potatoes in large bowl with potato masher or back of fork. 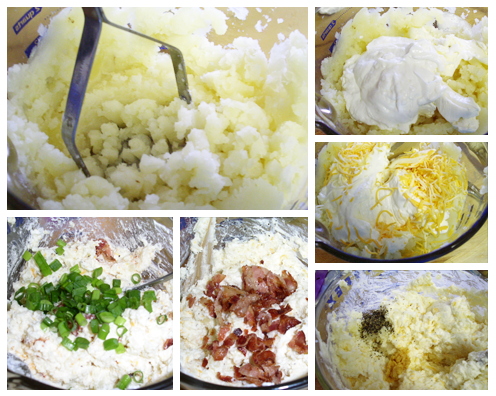 Add cream cheese, half of the butter, Greek yoghurt and ½ cup of shredded cheese. Stir well. Add garlic, salt and pepper, and stir again. Add half of the green onion and cooked bacon. Spray a baking dish with nonstick cooking spray, bake for 30 to 35 minutes until hot. 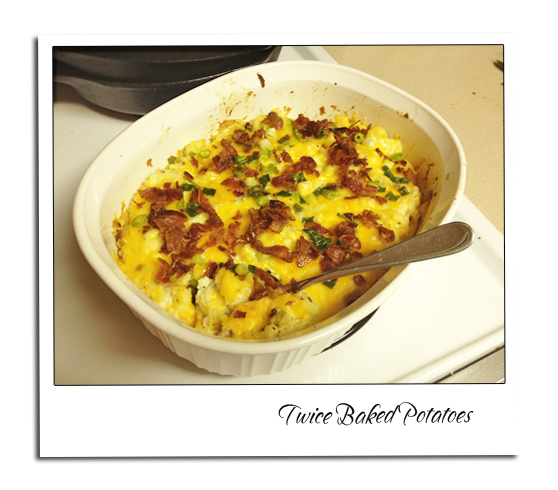 Sprinkle remaining green onions, crumbled bacon and ½ cup of shredded cheese over casserole and return to oven for about 5 minutes, until cheese melts.